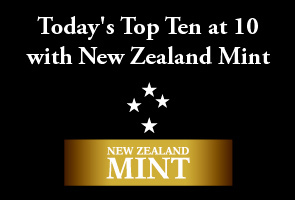 Here's my Top 10 links from around the Internet at 10:00 am today in association with NZ Mint. Bernard is back tomorrow with his version. As always, we welcome your additions in the comments below or via email to bernard.hickey@interest.co.nz. For years, we have been tracking bank leverage and pointing out the distorted rules that allow banks to hold a lot less capital to support home loans than any other type of lending. The RBNZ has either turned a blind eye to the distortion or allowed it (via the Basel II rules). The second key driver of bank returns is “leverage”. This is the value of loans on a bank’s balance sheet divided by the value of its core tier-one equity (or shareholder) capital, which is the first-loss buffer against losses. Yet leverage is not determined by management, shareholders, or market forces. It is set by the regulator. Precisely why the big four and Macquarie can leverage their capital two to three times more than other deposit-takers is not well understood. But it is a key to their commercial edge. And it explains why Macquarie has developed an insatiable appetite for writing home loans. If one accepts banks use comparable credit assessment standards when approving new loans, and have similar servicing techniques, it’s not clear why the majors and Macquarie can hold half the capital against near-identical assets. Regulators are, however, revisiting these risk-weights. The bigger banks may see them rise or carry more too-big-to-fail charges which can’t be “gamed” through lower risk-weights. Mid-sized lenders are working to convince APRA they are safe enough to hold risk-weights closer to the majors. This might eventually see the huge gap in bank leverage narrow, implying more homogeneous returns, which would affect share prices. Perpetual cynic Ambrose Evans-Pritchard notes that commodity prices have been falling since September, culminating in a rout over the past two weeks. he thinks that is a classic warning for the global economy. My view is that the US Federal Reserve and the Bank of Japan "caused" the gold crash. The rest is noise. The Fed assault began in February when it published a paper warning that the longer quantitative easing continues, the harder it will be for the bank to extricate itself. The report was co-written by former Fed governor Frederic Mishkin, often deemed Ben Bernanke's "alter ego". It said the Fed's capital base could be wiped out "several times" once borrowing costs climb. The window will start shutting by 2014, with trouble then compounding at a "dramatic" pace. This was a shock. It suggested that the Fed has lost its nerve, and will think long and hard before launching a fresh blitz of money if growth falters. The world is still in a contained depression. Sliding commodities tell us global money is if anything too tight. "There is a threat of deflation almost everywhere. A lot of central banks will have to follow the Bank of Japan, whatever they say now," said Lars Christensen from Danske Bank. The era of money printing is young yet. Gold will have its day again. 3. How do we fit in a globalised world? How should countries navigate the twin challenges of our time – globalization and the technology revolution - asks Chrystia Freeland ? She was trying to answer it for Canada, but maybe her remedies apply to New Zealand too. Second, find your strategic national niche. Technology leaders such as Google chairman Eric Schmidt think a lot about power laws, the phenomenon whereby you see concentration at the center of networks. His own company is an example of power laws. So are Facebook and Apple. This winner-take-all dynamic means businesses need to think strategically when it comes to picking the fields on which they play. The same applies to countries. The third point is the hardest. Sometimes, the global current of ideas Mr. Bildt is keen to plug into flows in the wrong direction. Wise national statesmen need to be connected enough to hear the world’s conversation and influential enough to shape it. But they also need the self-confidence to swim against the tide when the global conventional wisdom is wrong. The issues of food security, the doubling (or more) of agricultural production and food processing, and our status as a ‘food bowl’ are clouded with misinformation. Australian soils and rainfall patterns just can’t support hundreds of millions more hungry mouths. Professor Snow Barlow, convener of the National Climate Change Adaptation Research Facility at the University of Melbourne, told a Melbourne forum last week that we can produce food for around 60 to 80 million people at best. The organisation cheers and rewards the innovators, says Cliff Oxford, and soon enough you have innovation everywhere – but also growing enterprise problems. “Innovate or die” is an expression you hear tossed around a lot. It tells me quickly that the people using it are not really all that innovative and in most cases do not know what it takes to build a fast-growth company. When the fast growth starts to fade, as it always does, the problem is rarely innovation. More often, it’s an inability to do the things that have to follow innovation. It’s really about getting stuff done. 7. Buying at the bottom? Chinese state-owned companies are expanding their influence in Europe, investing more than $12.6 billion (€9.6 billion) in the Continent last year, according to a study by the Hong Kong-based private equity firm A Capital. The amount represented an increase of about one-fifth in comparison to 2011, and was all together larger than investments in North America and Asia combined. About 86 percent of the investments were in the service and industrial sectors. Europe has been a largely welcoming place for Chinese buyers. State fund CIC acquired a 10-percent stake in London's Heathrow Airport late last year, and a 7-percent stake in the French satellite provider Eutelsat. And Portugal's government negotiated its largest-ever privatization in late 2011, agreeing to sell its 21-percent stake in the massive power company Energias de Portugal to China's Three Gorges. But, is China adapting to the new world, or just playing the same old game? Zhang Jun, a professor at a Shanghai university isn't so sure, at least now without a "successful implementation of another round of far-reaching reform" which it will have to try in its new world where Chinese citizens are a lot freer in letting their views be heard. He explains how and why the transformation has occurred and the medium and long term implications. He also deals with the opposing arguments, especially the fixation with the 'precautionary principle', something I struggle with. It seems to me this is only trotted out by new-age conservatives who fear any change. Finally, some, especially in Europe, fear new and unfamiliar technologies in general; adhering to what is sometimes called the “precautionary principle,” they place the burden of proof on the innovation, rather than symmetrically on the status quo. But, while it is true that a fundamentally new technology poses risks that are unknown, that is no excuse for neglecting to weigh the known risks of the existing technology. The precautionary principle is hard to dislodge. Is it really true that new technologies are necessarily riskier? By this logic, men who worry about their virility should hesitate to try the unfamiliar new technology, Viagra, and instead stick with powdered rhino horn. Very few job losses reported this week. When we started this tally, a number of unions promised us they would keep the list updated. We haven't heard from them since. Surely there has to be some to report ... ? We are keeping a tally of reported job losses and we are asking readers for help keeping track of them. Let us know when you hear of some, even small ones. Still won't get em buying ...snippy....it'll come around when it finds it's bottom. As the cost of Gold production comes near meeting the market price, production stops / slows...availability causes scarcity fears , up goes the demand and price along with it. No amount of screaming hype even if there is a logic to it, will reverse a trend in a heartbeat to it's former gloy high...which BTW failed to crack 2k let alone 5K the gold pushers were advocating Feb 2011. Hang in there ...there will be daylight if you can tough it out. Good call scarfie - those that misunderstand the importance of carry (contango) are not long for the world of money - no matter that it is morally indefensible. Good read there Scarfo, I noted his thoughts on the matter not well recieved at the summit...ignored was the word I think......a little of the language used by the Prof made me think there was a little frustration there of unknown source. I guess Ben being Jewish never gave a thought to Judas...but then, neither did Greenspan. Ha ! a debt jubilee minus Consensus.........we say all bets off...opinion is divided...Still eh..? Agree on the frustration. Fekete appeared as a guest for Max Kaiser and that is a good interview to watch. I normally prefer to read as the vids tend to ramble on, but that is a good one. Not sure which came first, the article or the vid. Anyway two sharp, logical and clear minds bouncing off each other, it shouldn't be hard to find :-) These guys seem to be able to read the plays, just the timing is uncertain. Only reason bets are off is because it is hard to conceive of what the desperate central banker might do next, but it is certain they will fight like a rat in a corner. 'I'll lay down a prediction right now. You give that new house out in the 'exurbs' 10 years and you won't be able to sell it for what you paid to build it," warns University of Canterbury engineering professor and energy expert Susan Krumdieck. Following the earthquakes, Krumdieck is alarmed about how Christchurch is now endorsing a car-based sprawl. Check the property pages and you can see where the 12,000 people being pushed out of the red- zoned city suburbs are heading, she says. West Melton, Halswell, Prebbleton, Yaldhurst, Northwood, Lincoln, Rolleston, Pegasus, Rangiora and beyond." You have heard of a brownfield redevelopment, Krumdieck asks? Well, this is greyfield, the recycling of a run-down neighbourhood. In a nutshell, she wants to build Riccarton Eco- village. Take four blocks in upper Riccarton - the 133 hectares bounded by the university campus to the north, Peer St and Ilam Rd to the sides, and Blenheim Rd to the south - and bulldoze the existing homes. Rebuild the entire area as a pedestrianised, post-car suburb of medium density, high efficiency, eco-housing. Lay on some trams, revamp Church Corner and Bush Inn as a new metro hub, move in 20,000 people where 4000 people used to live, and by relocating red-zoners within the existing city limits, there is your sprawl issue solved. we are lead to believe only private developers can do it right (ignoring mathematical mazes) and the alternative is something East German. This is what Singapore does (except it has a two tier ownership model). By intensifying she talks about decoupling the cost of buildings from the land but also the design adds value in itself inso far as it builds in the best principles of urban design and sustainability. what's your position on development contributions? what happend to all that money lost to finance companies and leaky homes? "asset inflation isn't wealth creation, it simply creates a charge elsewhere in the economy"
"You can buy one property, get it revalued, use the equity to buy another property and then buy another and another. “And you do it all with OPM. Other people’s money. OPM. It’s like being high on drugs!” What’s more, the wonder of depreciation claims on the building and contents means “the government subsidises your investment! It’s delightful!”"
I guess Transition Engineering research project if successfull would show up "spontaenious order" ? I had issues with her in the past - reckoned she was sugar-coating the pill - but she knows, She knows. #7 Check this easy money story .... The low Euro and Pound exchange rate is an artibratge windfall for some.... .. take the boys on Wairua Road in Glenfield who import luxury used Audi Q7 's from the UK . Add on $4~5k shipping. I assume they pay or should pay GST? I dont think its un-common to now ship cars from the UK to NZ, a lot of it is the high insurance costs I suspect. "Um, guys, that’s because you don’t want to understand. Nothing about our current situation, except maybe the absence of outright deflation, is at all surprising or mysterious." "many central bankers and other officials chose to ignore all that and place their faith in the confidence fairy instead." My kids have not believed in fairys since pre-school. "But the truth is that basic macroeconomics — IS-LM type macro, the stuff that’s in Econ 101 textbooks — has performed spectacularly well in the crisis." It seems NZ is a bit of a way behind the dutch in terms of "incentives" to buy and build more etc. They are now 20% down from 2008. "This means that, seen from the 2008 peak perspective, a 20% price fall has been completed, and another 33% drop is needed to get back to where it came from. Some may cite reasons why prices should remain elevated, but that smacks too much of the "this time is different" argument;"
"It's a very simple story really: this is a widespread tale of western societies transforming themselves into pyramid schemes; or perhaps we should say one big global Ponzi scheme. And these Ponzi things collapse, and there's nothing anyone can do to "fix" that: the poisoned chalice must and will be emptied to the last drop." "The Netherlands is still one of the most competitive countries in the European Union, but now that the real estate bubble has burst, it threatens to take down the entire economy with it. Unemployment is on the rise, consumption is down and growth has come to a standstill. " So yet more competitvness? and see the top 1% absorb all of that anyway? just whats the point? “I want to have more of the world in Sweden and more of Sweden in the world,” he told me. Marco Polo didn't bring back half the population of China..... something our powerful lobbiests and influence pedlars would like. New Zealand is the new Eden, its clean and green image the beneficiary of a public-relations windfall direct from Middle-earth. #8. While some of the reduction in US CO2 emissions can be attributed to increased use of natural gas and therefore "fracking" how much of the emissions have been offshored? Much like NZ how much of the reduction can be attributed to the growth of service industries (which emits less than manufacturing) and decreased local manufacturing? How much increase of emissions over the same period in the manufacturing companies (China etc & even Australian mining industry)? How much increase in Canadian emissions attributed to tar sands operations given the bulk of this oil is pipelined to the US? How similar is this piece from the UK in regards to the US (& New Zealand)? When nations negotiate global cuts in greenhouse gas emissions, they are held responsible only for the gases produced within their own borders. Partly as a result of this convention, these tend to be the only ones that countries count. When these “territorial emissions” fall, they congratulate themselves on reducing their carbon footprints. But as markets of all kinds have been globalised, and as manufacturing migrates from rich nations to poorer ones, territorial accounting bears ever less relationship to our real impacts. While this is an issue which affects all post-industrial countries, it is especially pertinent in the United Kingdom, where the difference between our domestic and international impacts is greater than that of any other major emitter. The last government boasted that this country cut greenhouse gas emissions by 19% between 1990 and 2008. It positioned itself (as the current government does) as a global leader, on course to meet its own targets, and as an example for other nations to follow. But the cut the UK has celebrated is an artefact of accountancy. When the impact of the goods we buy from other nations is counted, our total greenhouse gases did not fall by 19% between 1990 and 2008. They rose by 20%. This is despite the replacement during that period of many of our coal-fired power stations with natural gas, which produces roughly half as much carbon dioxide for every unit of electricity. When our “consumption emissions”, rather than territorial emissions, are taken into account, our proud record turns into a story of dismal failure.